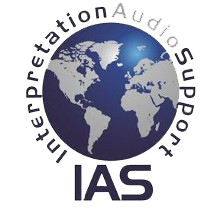 Interpretation Audio Support, LLC is the premier provider of simultaneous interpretation services and translation equipment for conferences, meetings, and events. We have over 25 years of experience providing audiovisual presentation and simultaneous interpretation services in Washington, D.C. and around the world. Our Washington, DC based company facilitates communication between people who speak and think in different languages, offering only the highest quality simultaneous translation equipment and services. We have worked with over 50 clients, including government agencies, unions, investment groups, healthcare groups, medical conferences, and financial service companies. No matter how small or large your event happens to be, our team of professional partners works with you to ensure a flawless delivery of interpretation and audiovisual equipment, and on-site support of events both locally and internationally. Our founder began by working for the state department as a technician in 1989 and from there progressed to being a senior tech for vendors, working with companies such as CNN™ and HBO™. A desire to help others start their own companies eventually translated into the founding on our own. Here at Interpretation Audio Support, LLC we specialize in state-of-the art equipment from companies such as Bosch™. We have over 30 years of experiencing in providing equipment and conference interpretation services to government agencies, medical groups, and private companies alike. Our certified technicians and state-certified interpreters deliver a high level of customer service, as we strive to satisfy our customers. 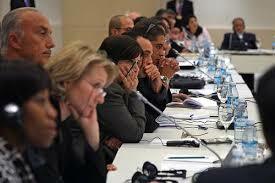 Although we are part of the small business minority, we deliver fully effective services to you.